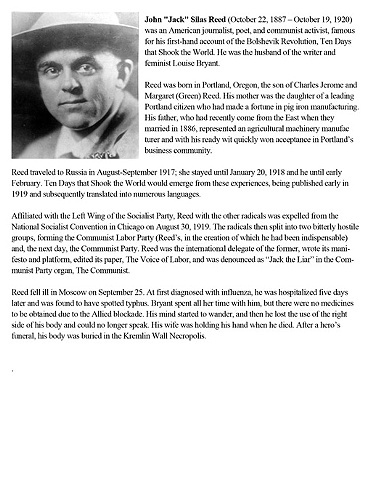 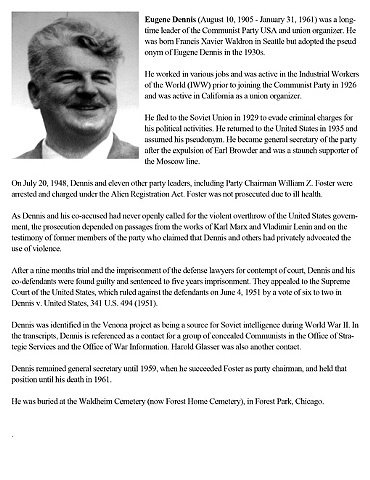 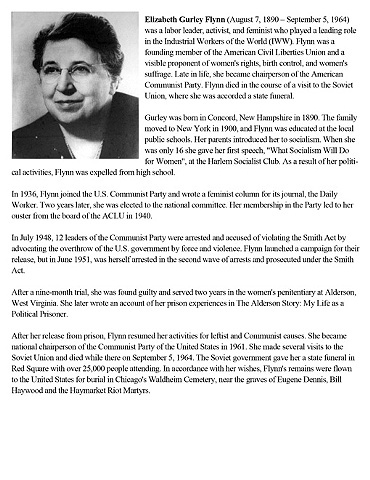 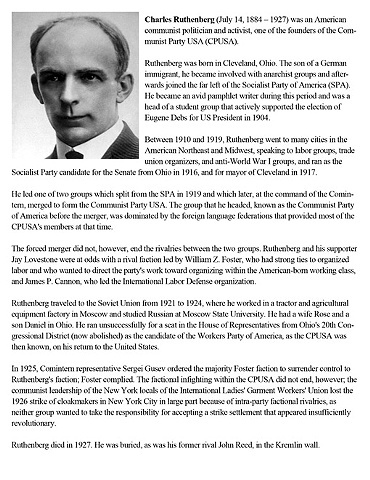 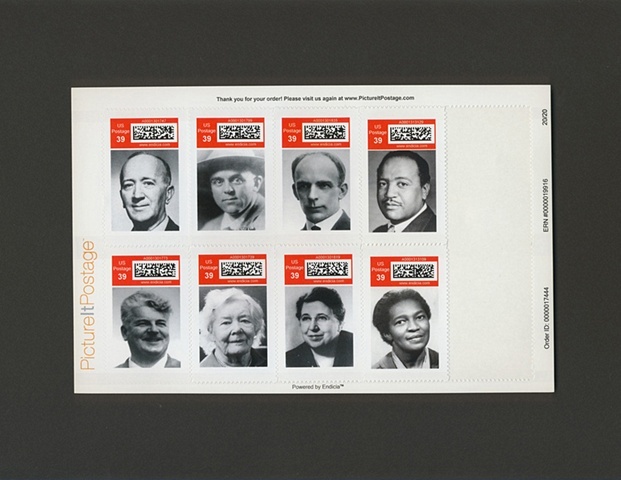 In Communist Party USA Commemorative Stamps, I produced US postal stamps featuring portraits of former leaders of the American Communist Party, such as John Reed, William Z. 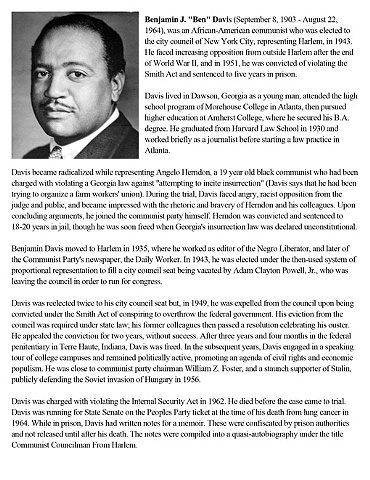 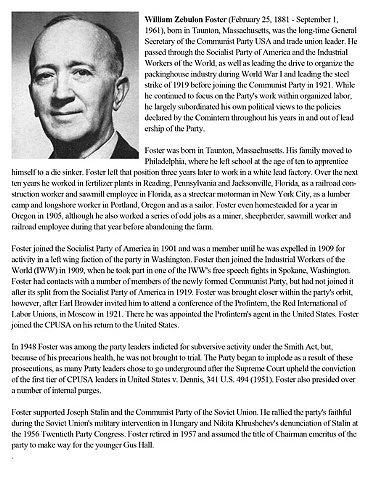 Foster, Benjamin Davis, and others. 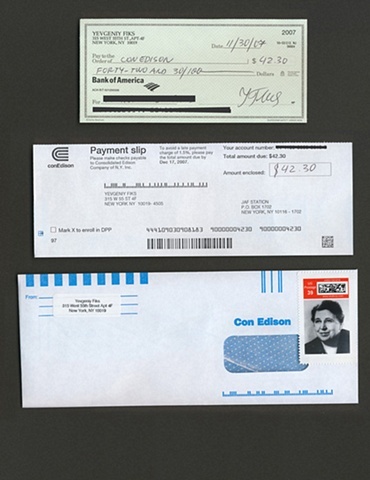 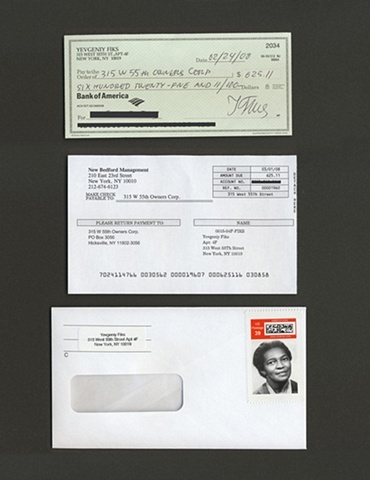 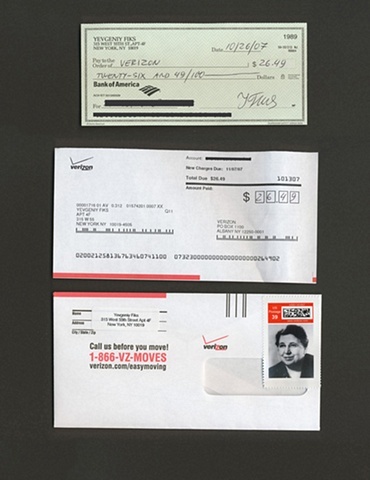 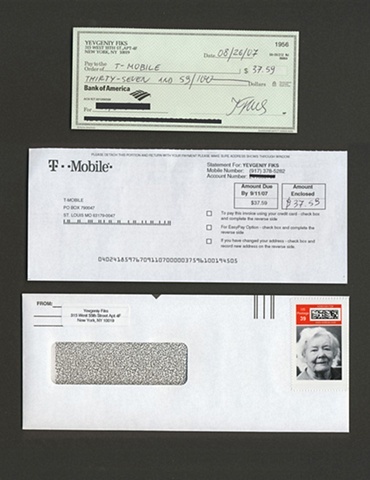 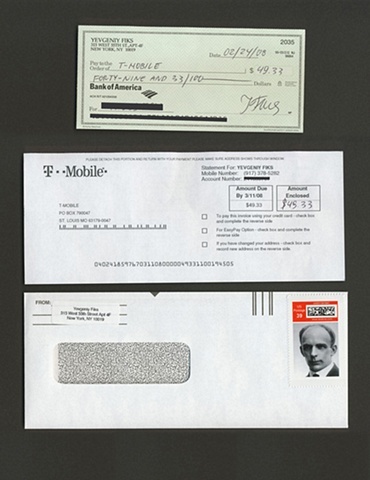 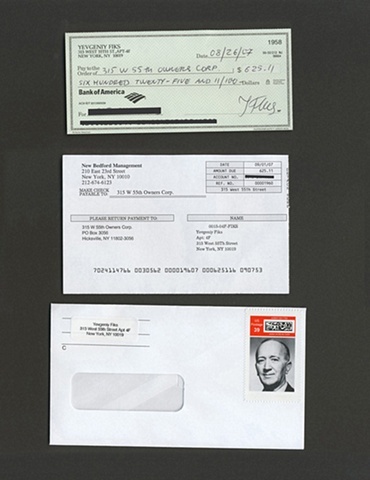 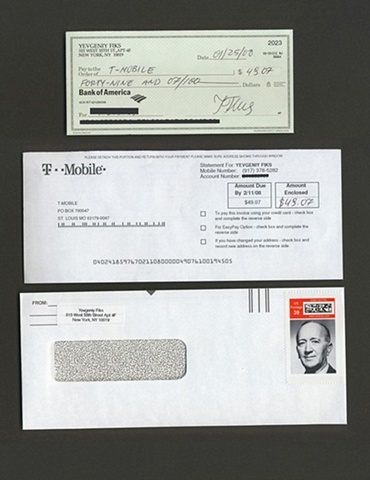 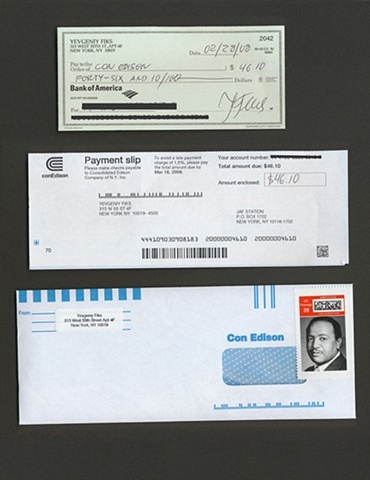 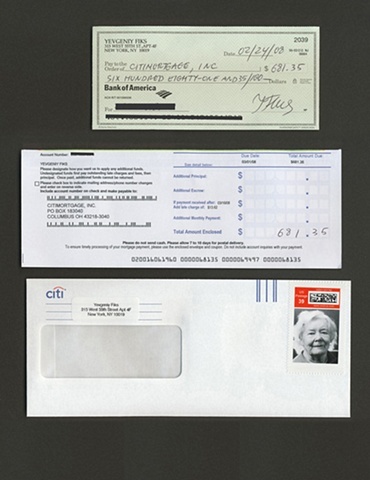 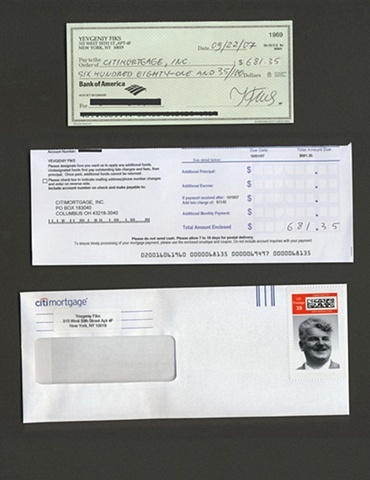 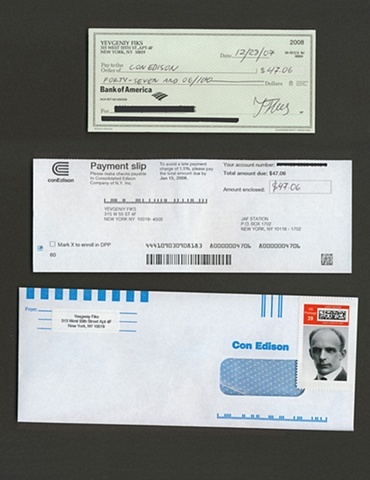 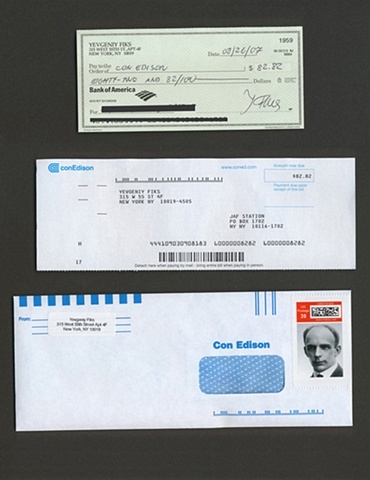 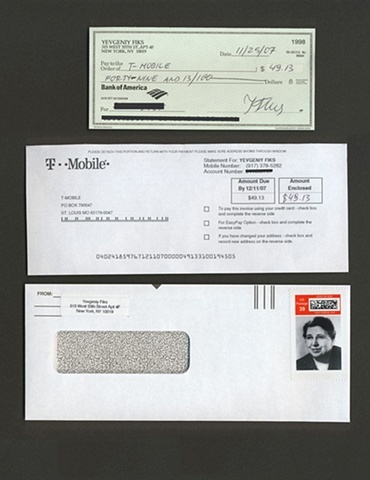 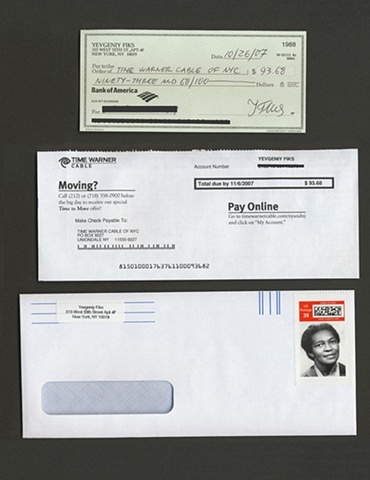 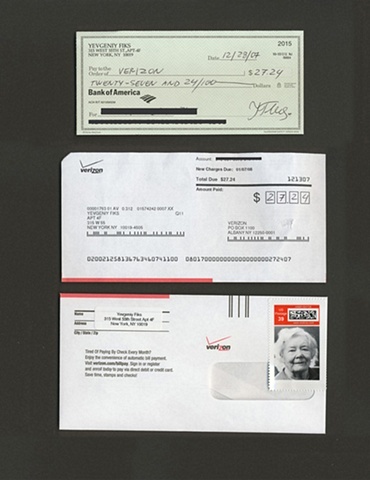 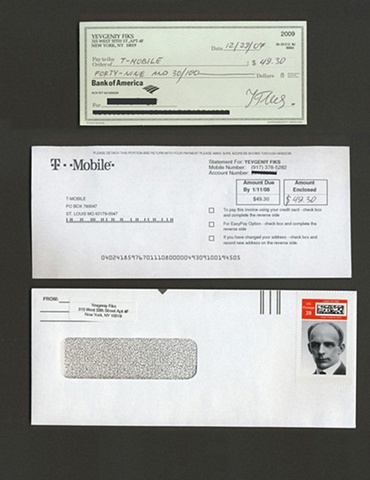 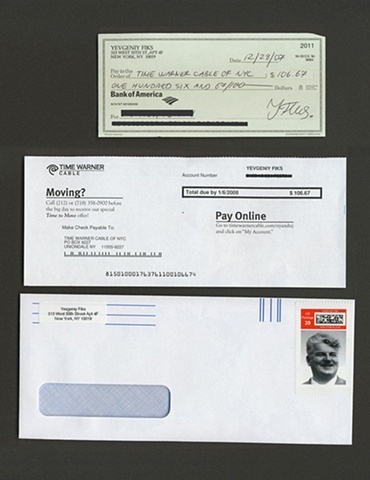 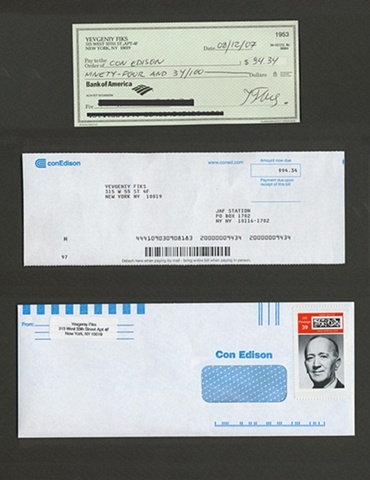 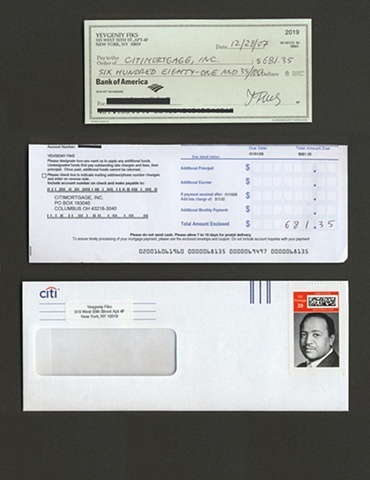 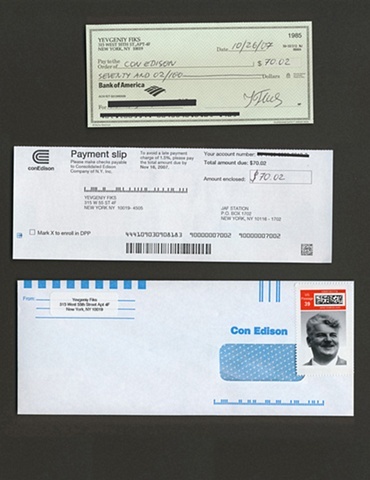 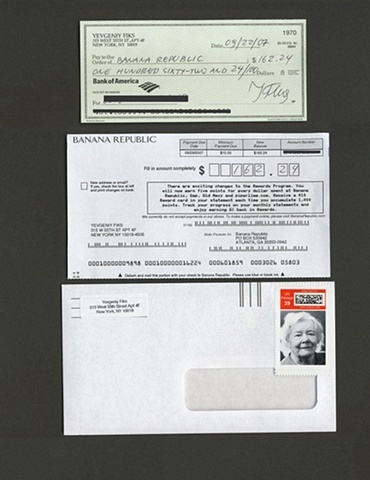 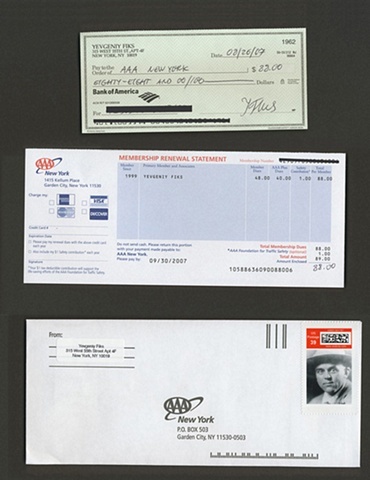 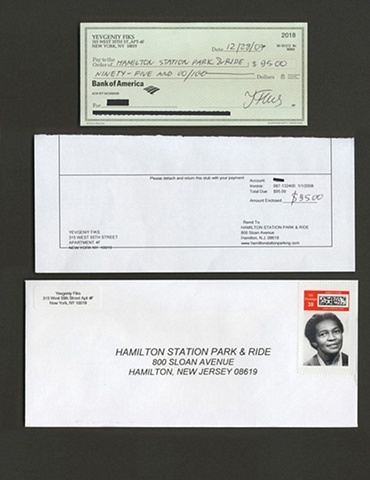 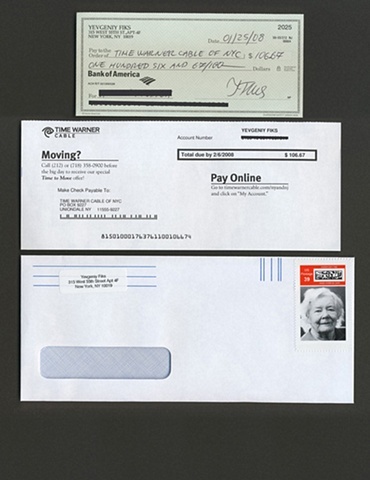 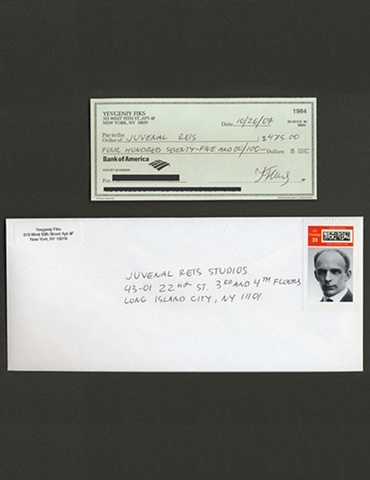 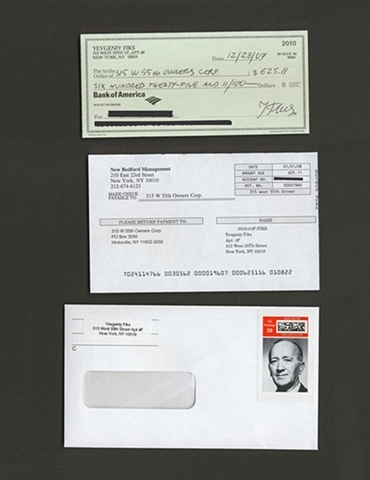 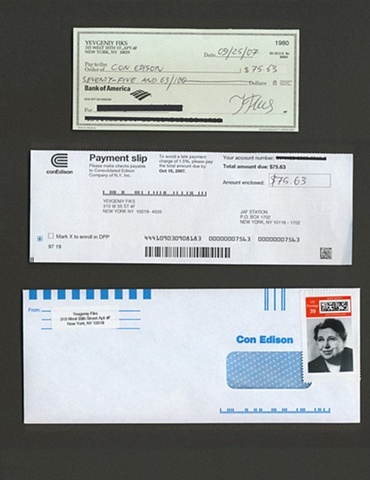 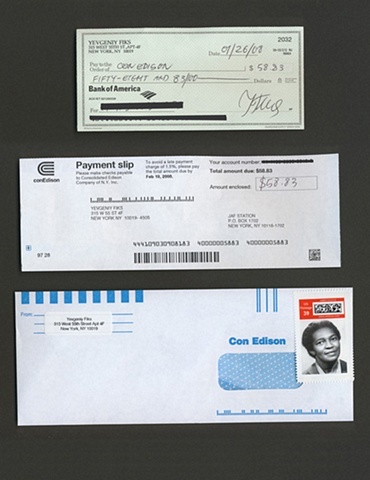 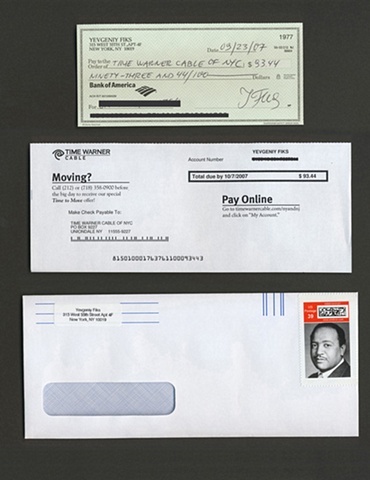 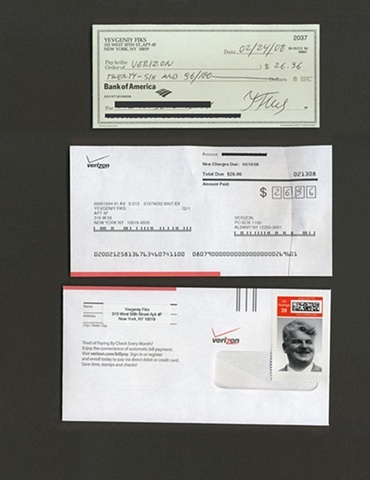 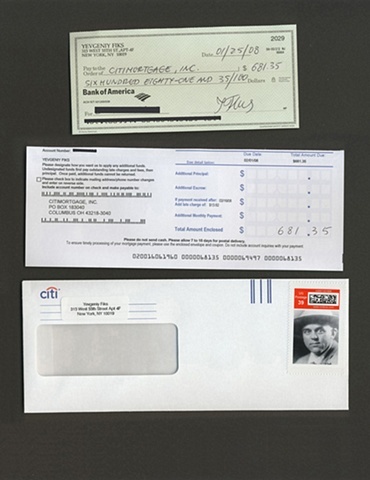 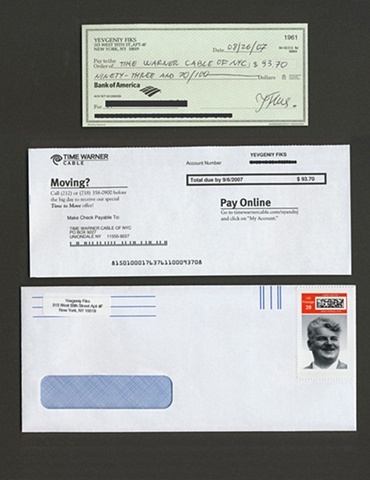 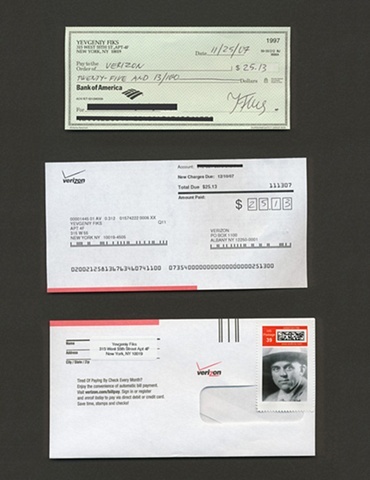 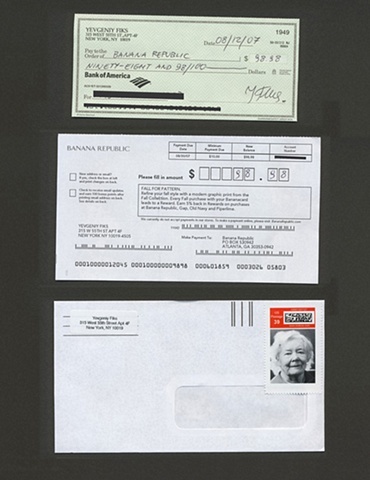 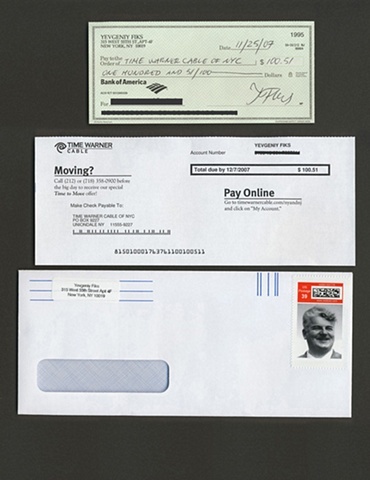 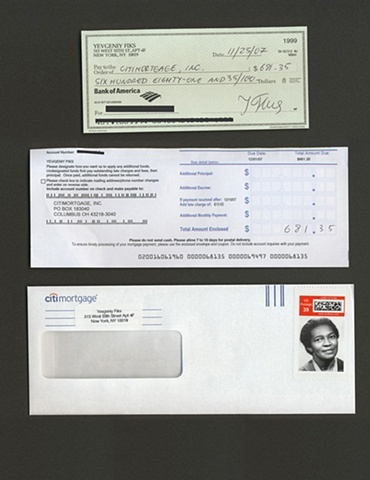 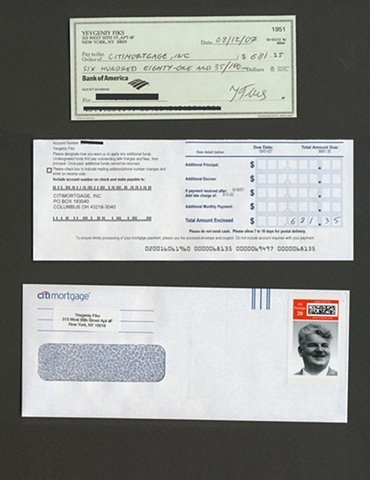 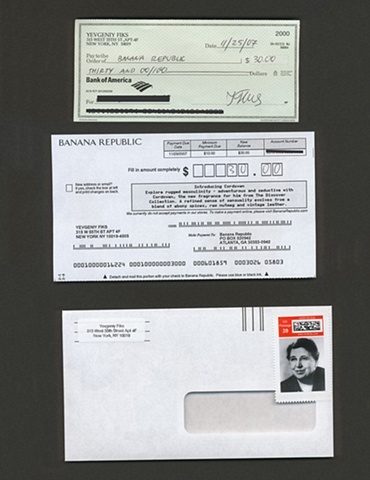 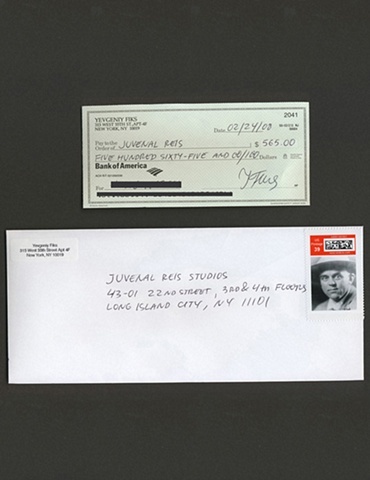 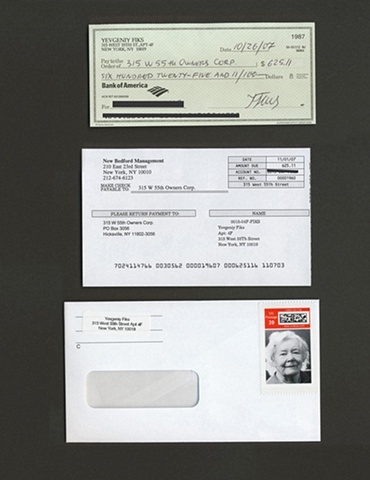 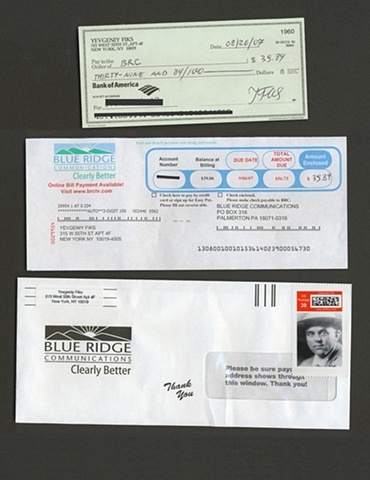 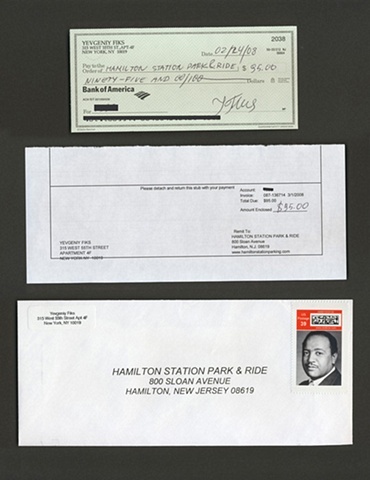 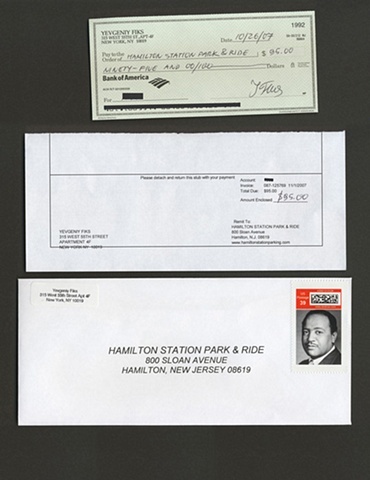 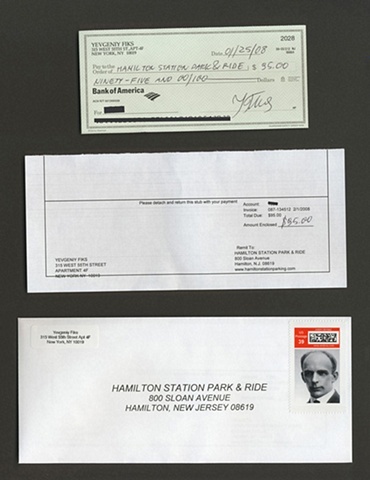 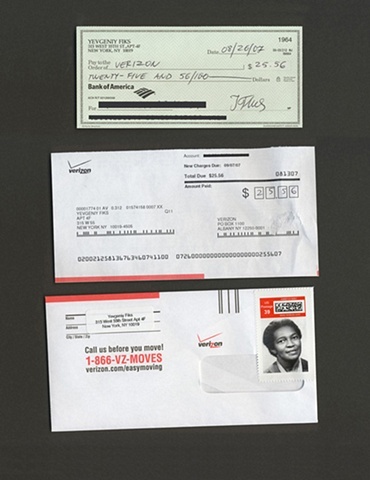 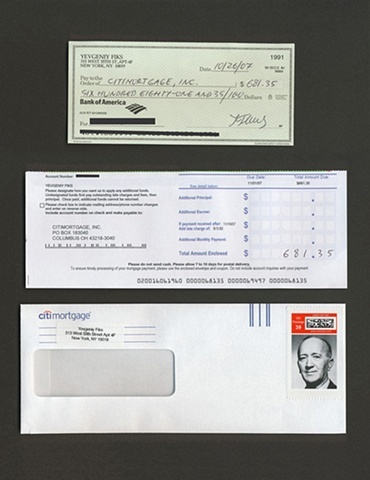 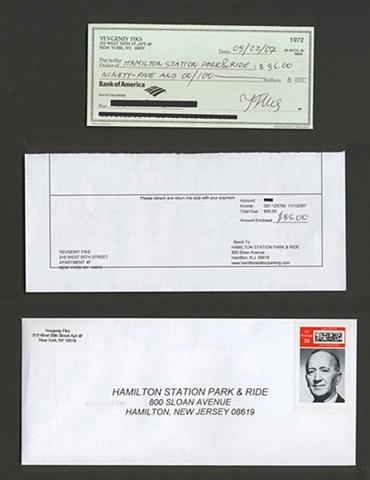 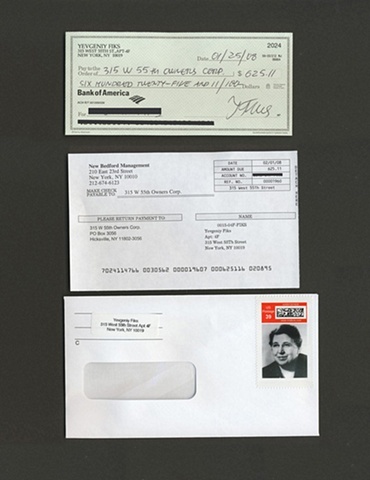 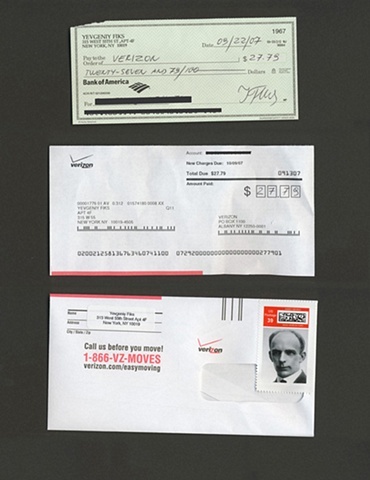 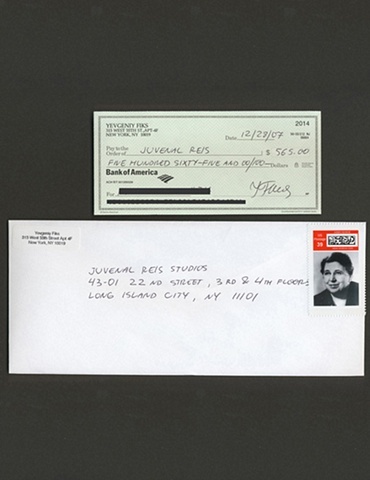 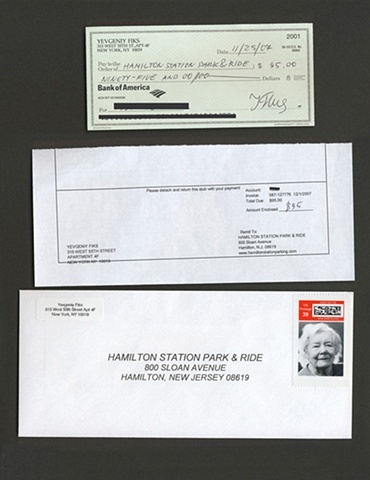 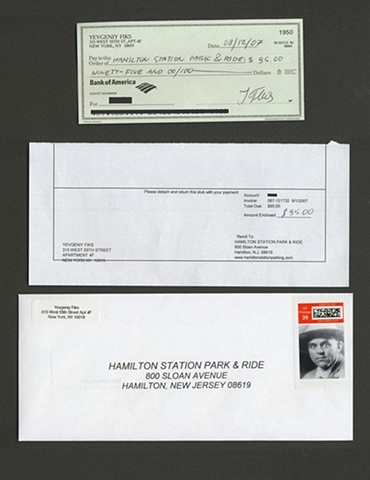 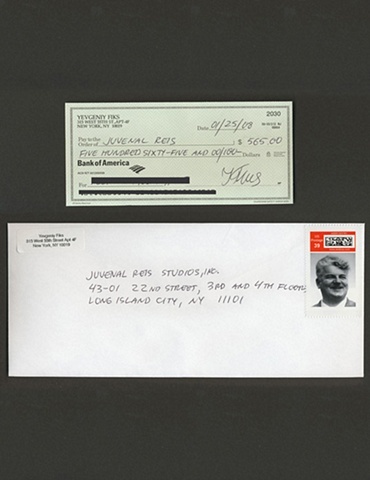 For seven months, I used these stamps on the envelopes for each of my monthly payments to companies such as CITI, Verizon, T-mobile, Time Warner Cable, and others. 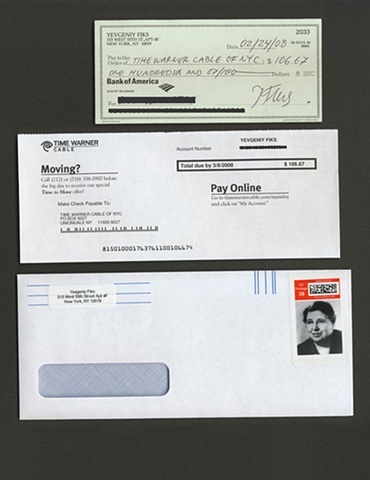 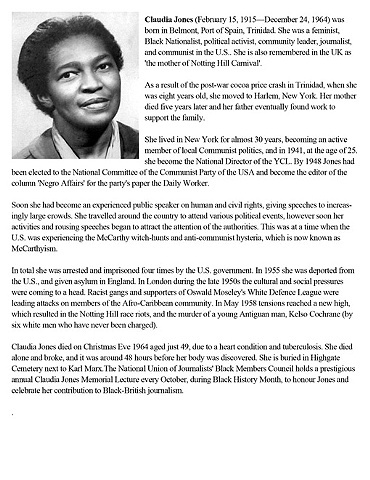 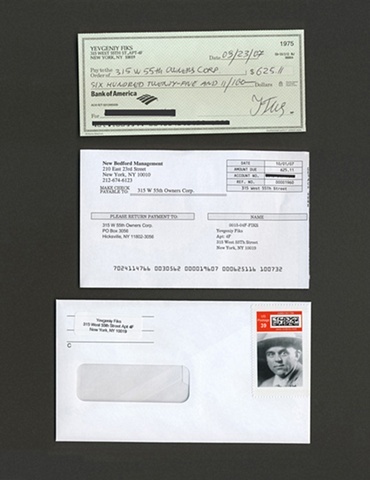 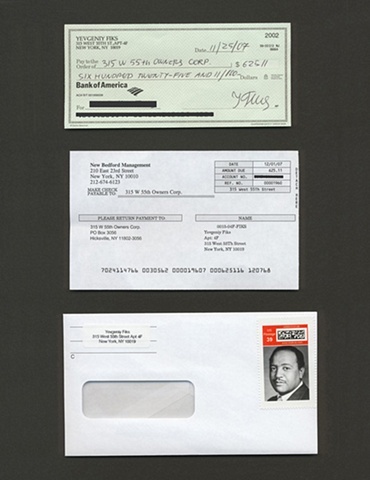 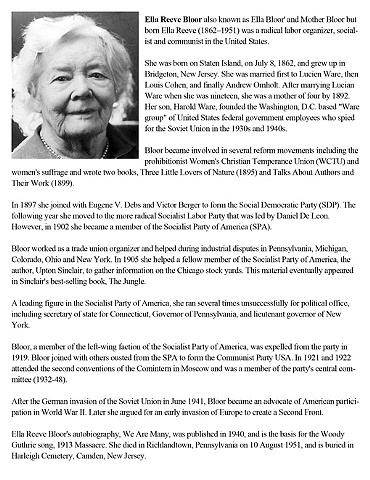 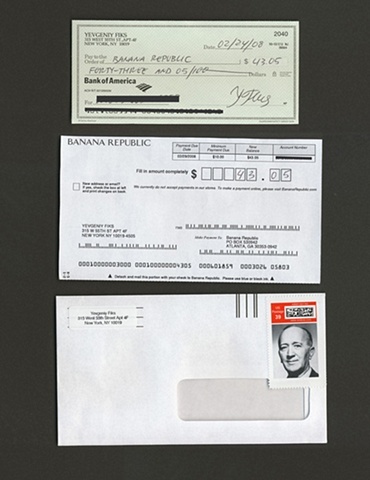 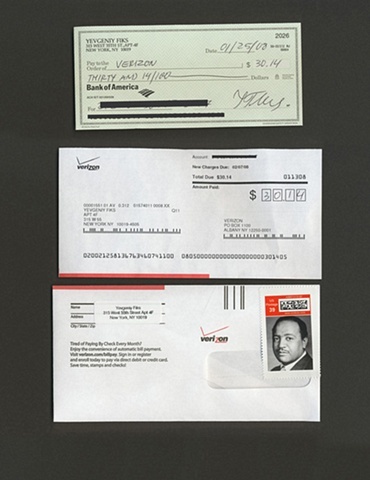 In this project, the procedure of paying monthly bills – a crucial ritual in the capitalist world order -- becomes a ritual commemorating the repressed legacy of the American Communist movement, which has been almost totally erased from American collective memory.